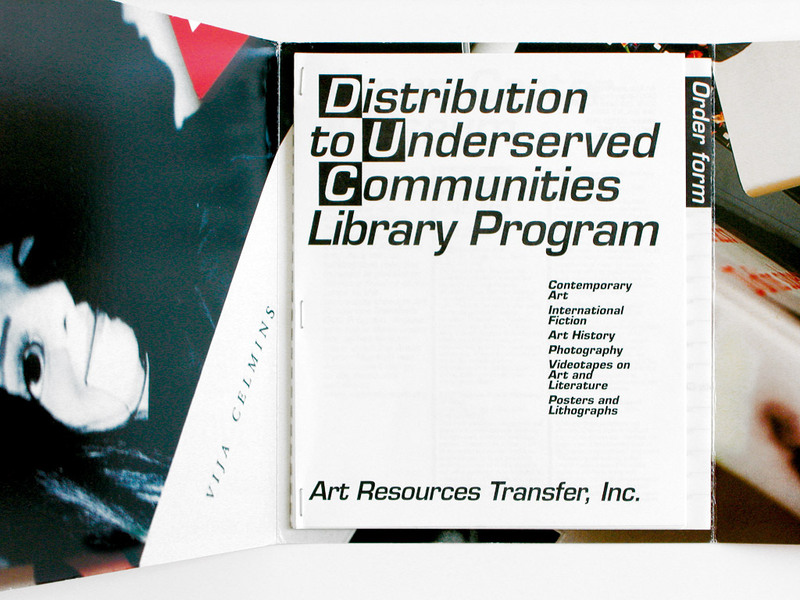 Design of the DUC Library Program’s catalog of books available for donation, posters, bookmarks. 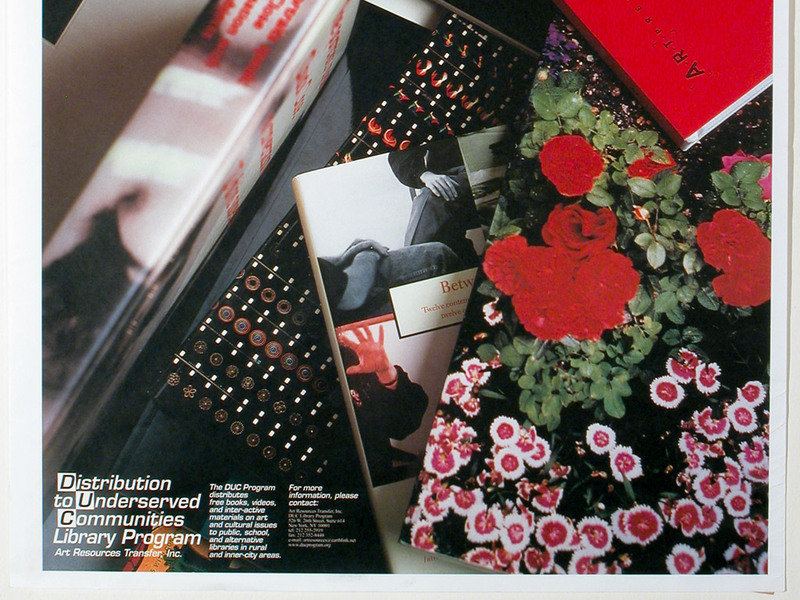 The same set of color plates was used for the posters as for the interior of the catalog covers. 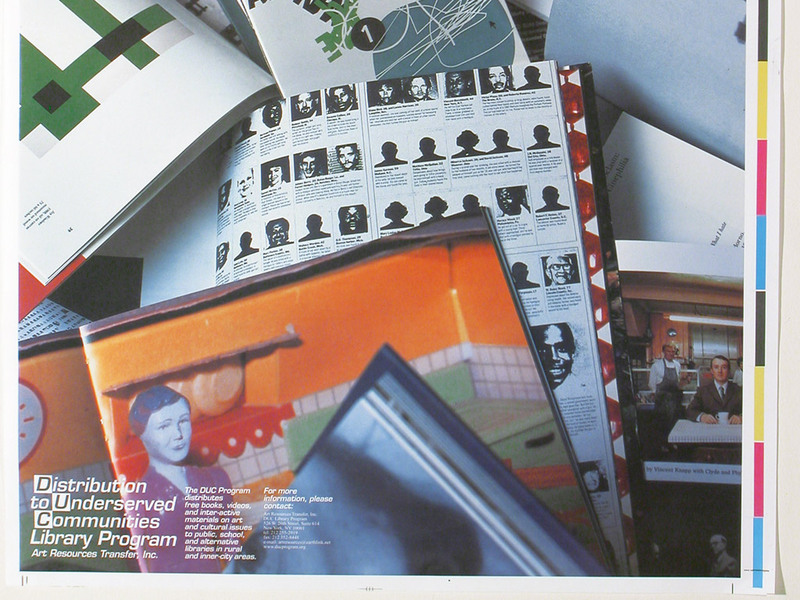 Bookmarks were cut from the same sheet as the covers. 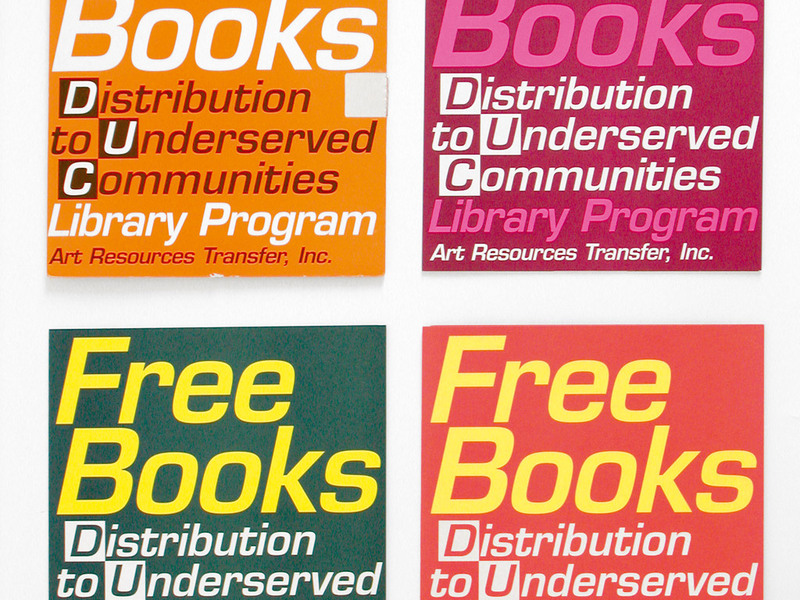 The overlay of fluorescent and other inks produced new, unpredictable colors.